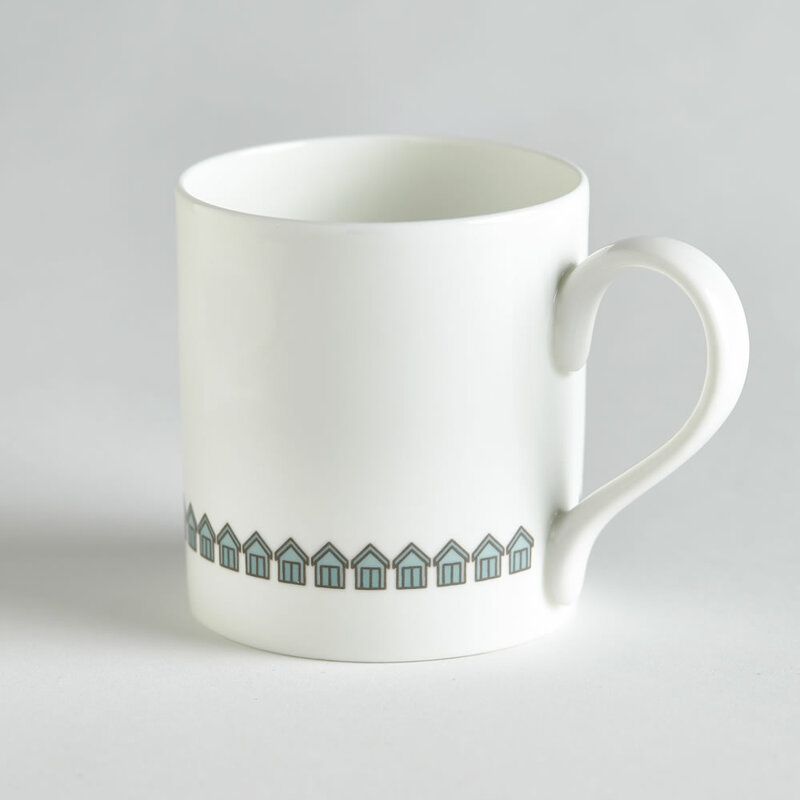 An attractive row of beach huts presented beautifully on a fine bone china mug. This is a popular design, part of the Beach Huts Collection - inspired by the beach huts in Brighton and Hove Actually. 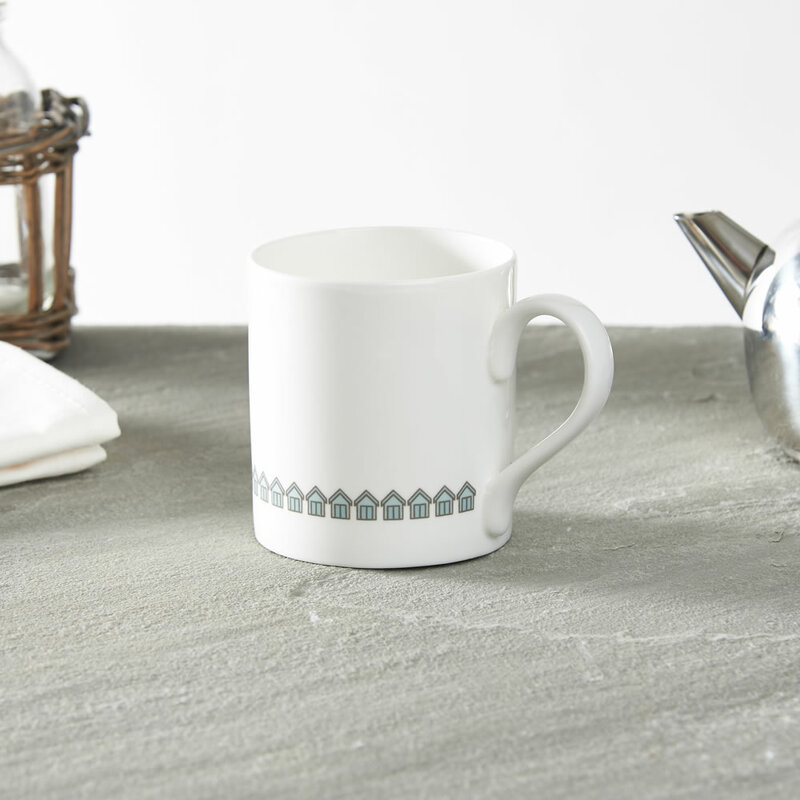 It has been decorated by hand to the highest standards in Stoke on Trent - home of the Potteries in the UK. The mug is contemporary in style and features a clean design with beach huts all around the bottom section of the mug. As with all Jin Designs creations the design is simple, with plenty of space giving you time to think and relax while you drink your cup of tea or coffee.